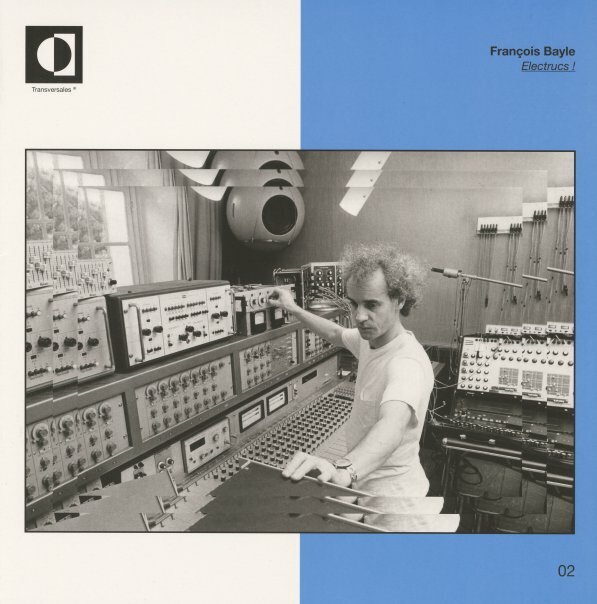 Boy, that cover alone is more than enough to draw us in – a frizzy-headed guy sitting amidst a whole host of 70s studio gear – but we've also always loved the music of Francois Bayle, which has always been some of the most striking in the French electronic tradition! The work here is all previously unreleased – and side one features a host of spare, stark tracks that has Bayle working with a portable set of 70s electronics – with a feel that's more intimate than the scope of the image on the cover might make you expect – as Bayle creates all these weird and wonderful cycles of sound on the album's short tracks. Titles include "Ennemi Intime", "Voltage Stomp", "Quadrille", "Crepuscule", "Train Noir", and "La Chose". The work on side two is maybe a bit closer to a tradition that would include Pierre Henry and Pierre Schaeffer – and titles include "Marpege", "Foliophonie", and "Cinq Dessins En Rosace". © 1996-2019, Dusty Groove, Inc.